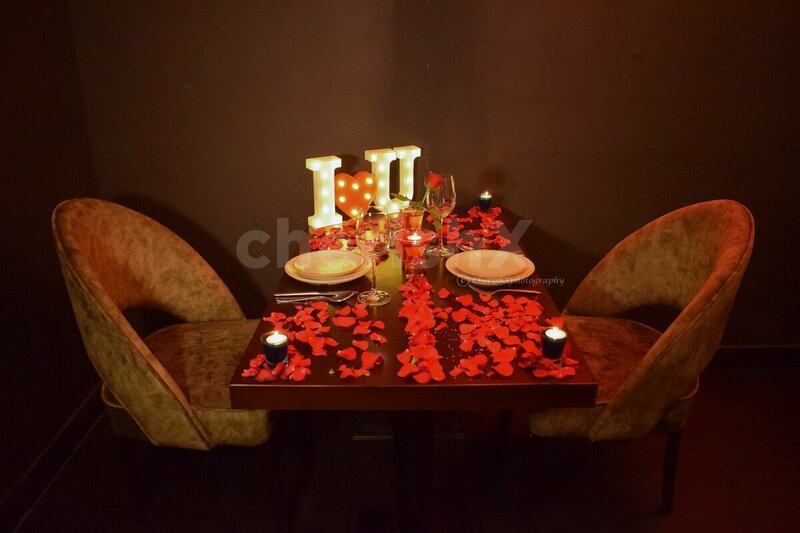 Bored of the cliche` romantic dineout experiences ? Give it a spin skipping the mellow music at the backdrop! You may have known each other for what feels like eternity or have just met and looking for a place to cozy up. 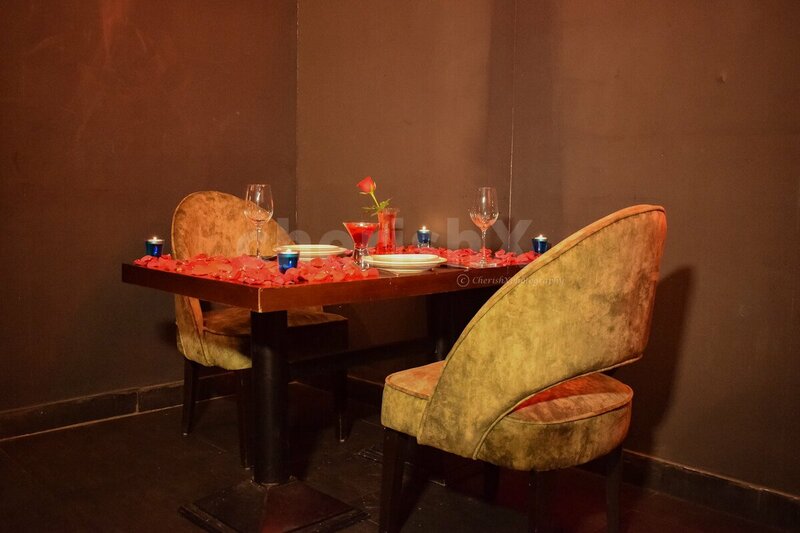 Nothing better than this lounge offering drinks, appetizers & ala carte menu to choose from. 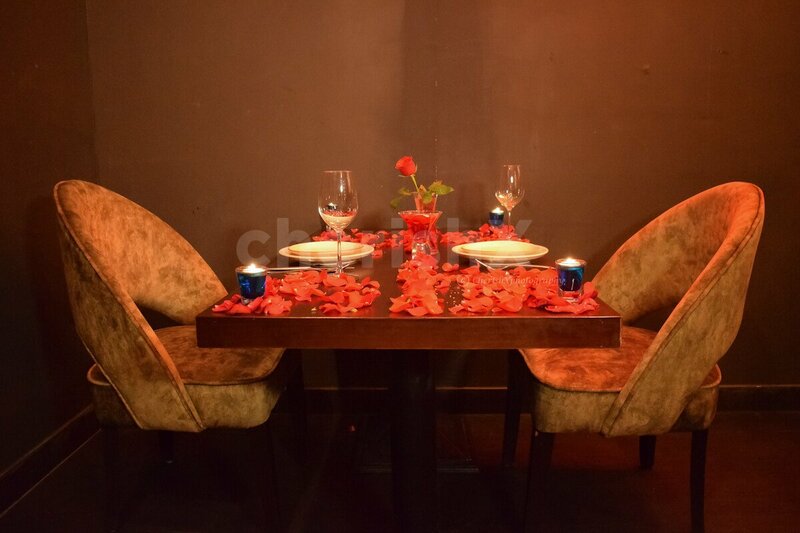 In a classy ambience give your partner feel of romantic dining experience in Connaught Place, Delhi. 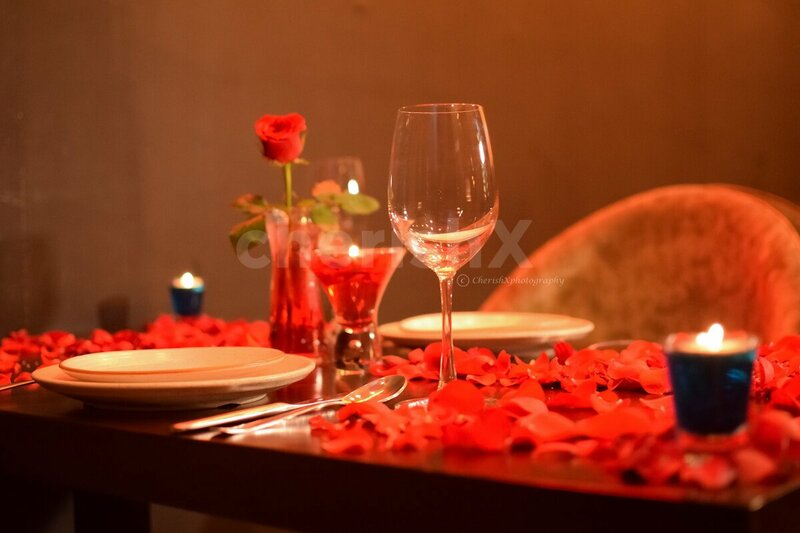 Enjoy a 3 course meal with choice of hard & soft drinks, light - touch table decorations and music for a elegantly romantic evening. Your Venue is located in the middle circle in Connaught place. 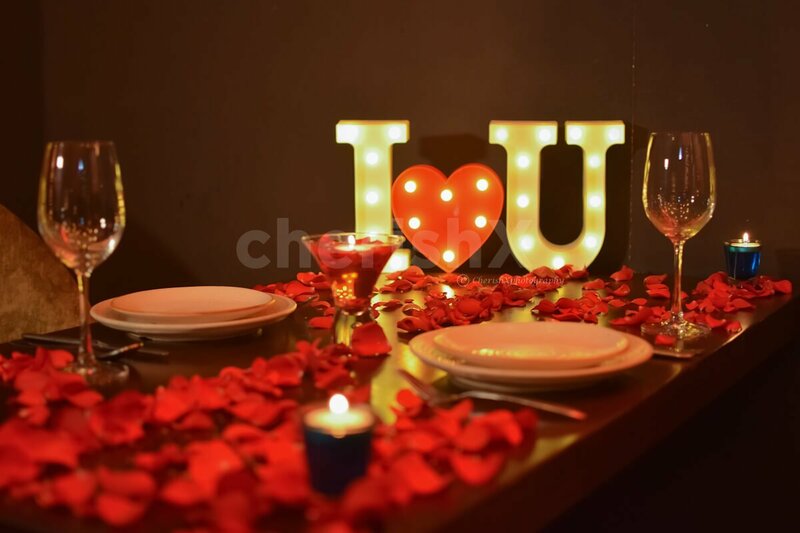 The place has a warm, comfy yet classy ambience having upholstered striped chairs, beautiful lightings, sprinkling of flowers & lit candles- setting the right vibe for the lovebirds.There’s no denying that romance and food go hand in hand. So, if a lot can happen over a cup of coffee, imagine what will happen if you take the love of your life to a brunch/ dinner date! 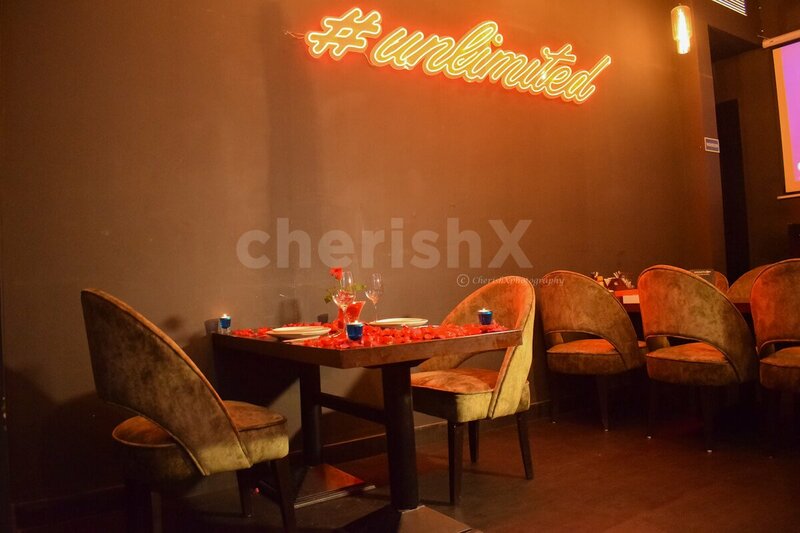 Located in the heart of Delhi, the place offers Italian, Mexican, North-Indian and a lot more cuisines to choose from. 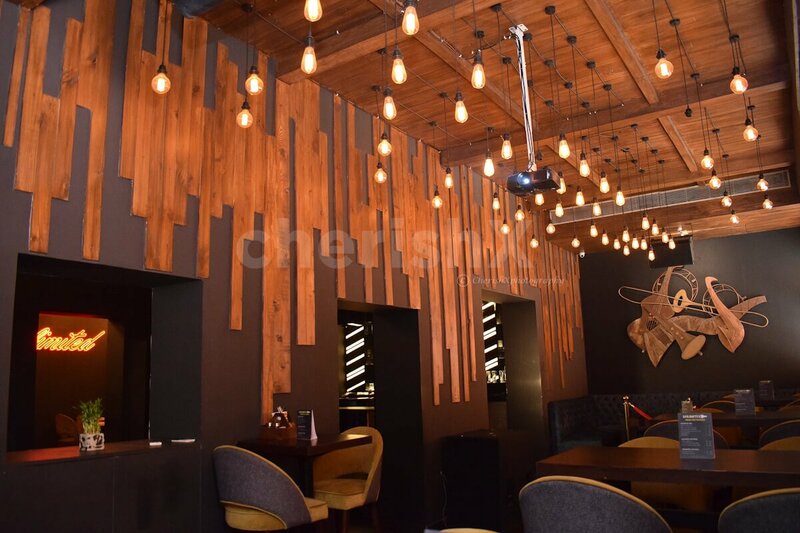 With drinks & a 3- course lip- smacking meal- they’ve got a plethora of options to pick from for kind of food lovers. You can add on to customisations like a cake, bouquet and lot more. The venue closes at 1 am. You can place your order at most by 12:00 am.